Place the eggs in room temperature water. Bring to a boil then turn down to a low boil for 12 minutes. Remove from stove and let cool before decorating. Refrigerate within 2 hours of cooking and use within a week. What to do with those hard-boiled eggs? Here are some ideas. 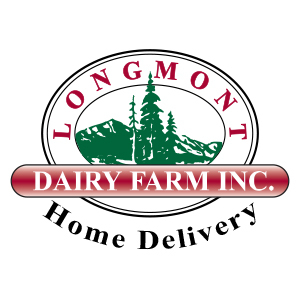 Longmont Dairy has two types of eggs you can add to your home delivery order, Egg-Land’s Best Cage Free Eggs and Egg-Land’s Best White Eggs. If you want to decorate a lot of eggs, but don’t want to have a refrigerator full of hard-boiled eggs, try hollowed eggs. They can be carefully preserved for years. Wash the eggs gently in warm, soapy water. Use a strong needle or nail to pierce both ends (make one hole larger). Poke a straightened paper clip or toothpick through the larger hole to pierce the yolk. Hold the egg, larger hole down, over a bowl and then blow the contents out with a rubber ear syringe or small straw. Rinse out the shell and dry thoroughly before decorating. Use the egg contents for baking or scrambled eggs. Eggs are a symbol of new life which is why they are used with the Easter holiday. The tradition of decorating eggs began in the 13th century. They would be colorfully decorated to mark the end of the Season of Lent (when eggs and meat were forbidden) and were eaten on Easter Sunday as part of the celebration. Let the colors of the season inspire you! 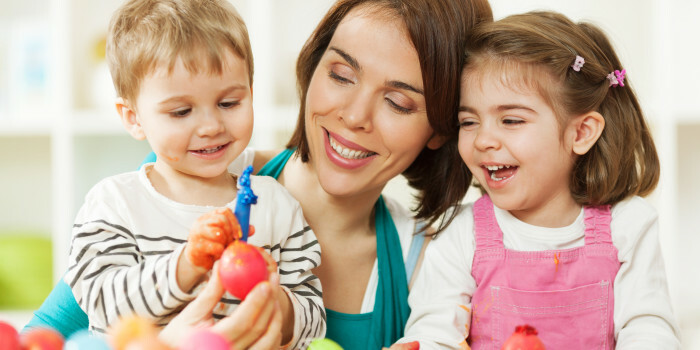 There are many unique ways to decorate your eggs from buying decorating packages at the store or using craft supplies such as crayons, glitter, stickers, paint and ribbon. Hollow or blown eggs are also nice for making Christmas Tree decorations. Eggs have been decorated as fine objects of art for hundreds of years and decorated with fine jewels and precious metals. Let your creativity bloom! Anything goes, and if you don’t like it, just eat the egg, and try another one. You can paint or use food coloring to color eggs. You can also make patterns and draw images first with a waxy material such as a white or light colored crayon, or a clear wax candle, so the dye won’t stick creating a combination of design and color. While drawing on an egg takes some practice, when dying over a drawing, it is amazing how the dye can make the drawings look good. You can also dye different portions of the egg to create several colors by dipping part of the egg in the dye, then drying and repeating. Food coloring kits are available for eggs by Paas, and other companies around Easter, but other food coloring dies can work as well. Just follow the directions on the package or experiment. You can also use acrylic paint and felt tip markers for bolder colors, after the egg is dyed. The other general method is to attach objects with glue. Try coloring rice or sand, and gluing it on the egg, or put stickers on as part of your decoration. If you want to start getting more sophisticated, gold leaf can be applied along with many interesting items from hobby stores or found around the house.